Most people are familiar with the concept of store coupons, but perhaps not store rewards. Stores like CVS, Walgreens and Target offer rewards on a weekly basis when you purchase certain items in certain quantities. 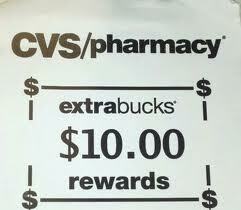 These rewards are printed out with your receipt and can be used on your next transaction for almost any purchase. This next transaction can occur immediately after the first or any time up until the reward's expiration date. These rewards can be used in conjunction with coupons!!! Tomorrow I'll explain the concept of "Rolling Your Rewards" to reduce your out-of-pocket (OOP) cost! My Free Deal of the Day: Crayola Markers 8 count - FREE at Walgreens!